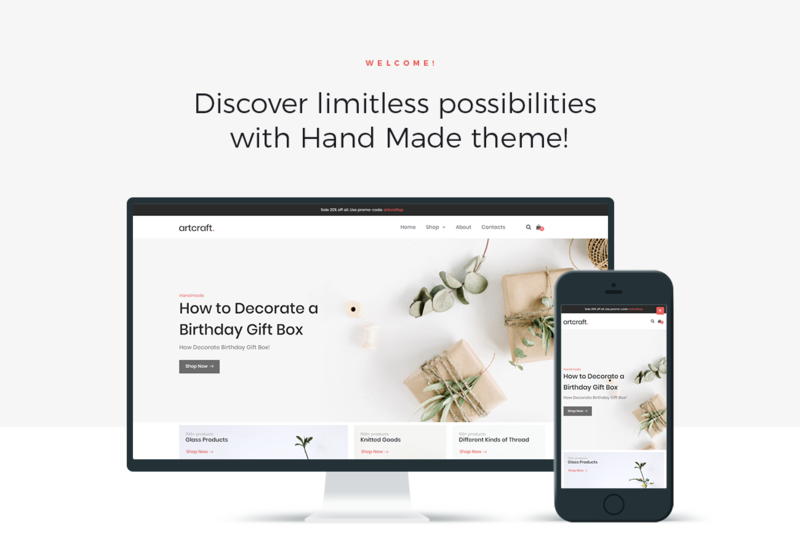 Open your online shop specialized in handmade goods using an attractive Artcraft theme. It has a neat design and an intuitive interface that will allow attracting more visitors and potentials customers to your store. You will show products by categories, new arrivals, also you will be able to add videos displaying how the products can be used. It will be possible to customize the website according to your requests and vision thanks to a great Jet plugins toolkit for Elementor page builder. 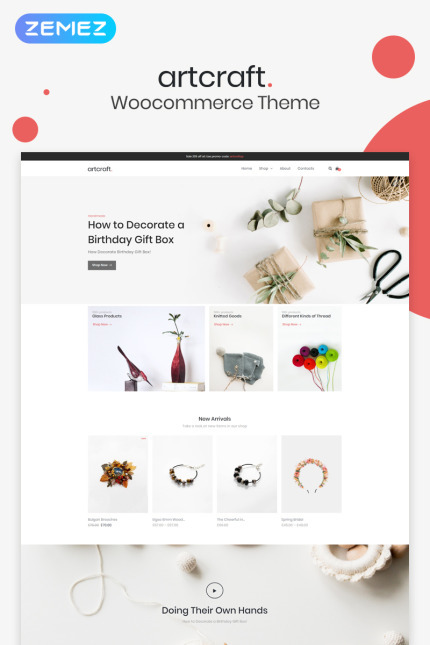 With JetWooBuilder and WooCommerce plugins, you will be able to create eCommerce page templates using loads of special widgets and stylish page layouts. Using JetCompareWishlist plugin you will add comparison and wishlist functionality to the pages. JetProductGallery plugin will allow presenting product images in the most convenient way, in the form of a gallery. JetElements plugin will provide a set of useful widgets for enriching the content of your website easily and quickly. 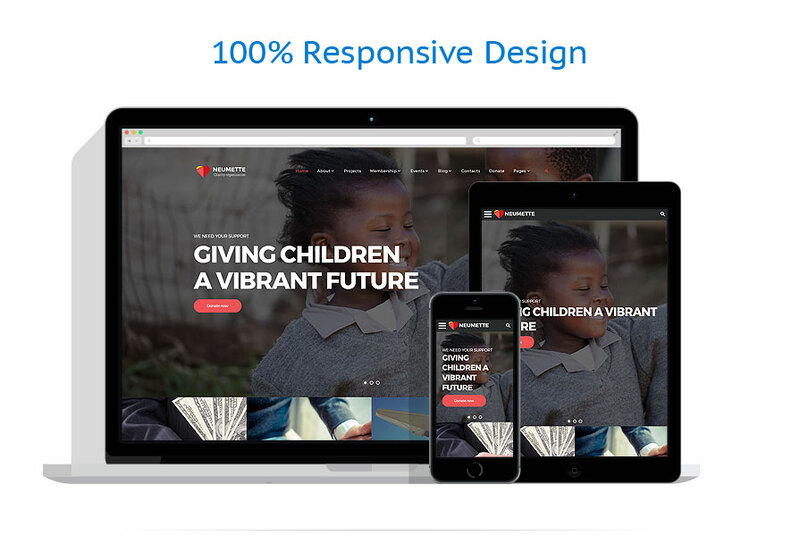 Your handmade shop will be livened up with the help of a responsive Artcraft theme.